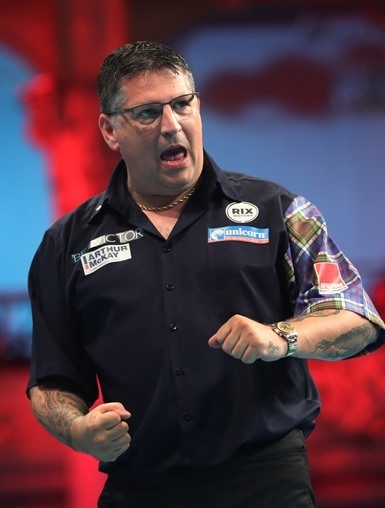 Gary Anderson was pushed all the way on the opening night in Auckland, while Team Unicorn stablemate Kyle Anderson also had to battle in New Zealand. It was a dramatic opening night at the Auckland Darts Masters with Unicorn’s Michael Smith the big casualty as he was stunned by Kiwi Mark McGrath. But it’s Gary Anderson v Michael van Gerwen in the big quarter-final clash. The newly crowned World Matchplay Champion had to be at the top of his game to beat talented Australian Tim Pusey 6-3. The Scot went 3-0 up but only after his opponent blew several opportunities, including five missed doubles in the opening leg, but after Anderson wasted two chances for a 4-0 advantage, back came the young man from Perth. Back-to-back legs including a 12 darter and 119 check-out. Gary showed his class to hit back superbly with 11 and 13 dart legs and despite a 100 finish from Pusey, Anderson hit a fourth 180 to close the game out. 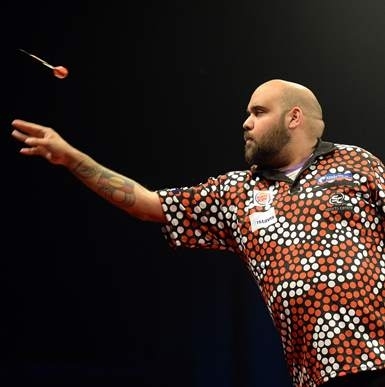 Kyle Anderson produced the comeback of the night as he came from 1-3 down to edge out impressive Kiwi Haupai Puha. Back to back finishes of 100 put Puha in control but when he missed one dart at D16 to go 4-1 in front, that was the signal for Kyle! He reeled off five of the next six legs and the reigning Auckland Champion is still in there fighting. He will now face Peter Wright. Smith was a bit under the weather but no excuses as he suffered a shock 6-4 defeat to Mark McGrath. The Shanghai Masters winner was way off on the doubles. First he missed three at D10 for a break and a 3-2 lead and then he wasted eight darts at double to go 5-4 up and despite 4 x 180s he was out as McGrath took full advantage. There should have been more shocks. Kiwi debutants Ben Robb and John Hurring both missed match darts against Simon Whitlock and Rob Cross respectively and lost in last leg deciders.